November 12, 2008 by admin, under Development Board News. 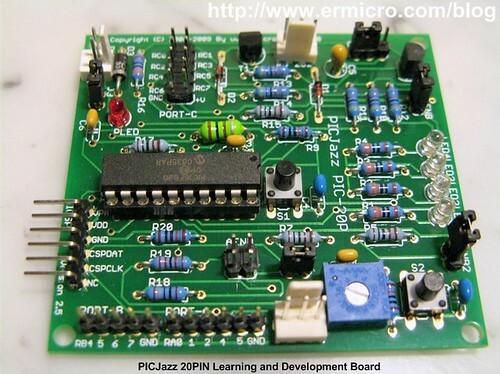 The PICJazz 20PIN board from ermicro is designed to be used both as the Microchip PIC microcontroller learning and development board. 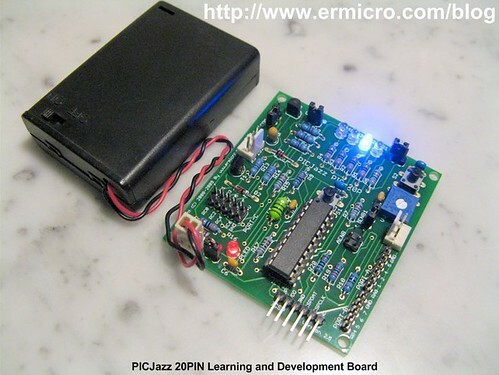 The PICJazz 20PIN board is stand alone microcontroller module equipped with the latest 8-bit class Microchip midrange and high performance such as PIC16F690 or PIC18F14K50 microcontroller that could be used for wide range of applications including embedded controller, remote data logger, robotics and much more. 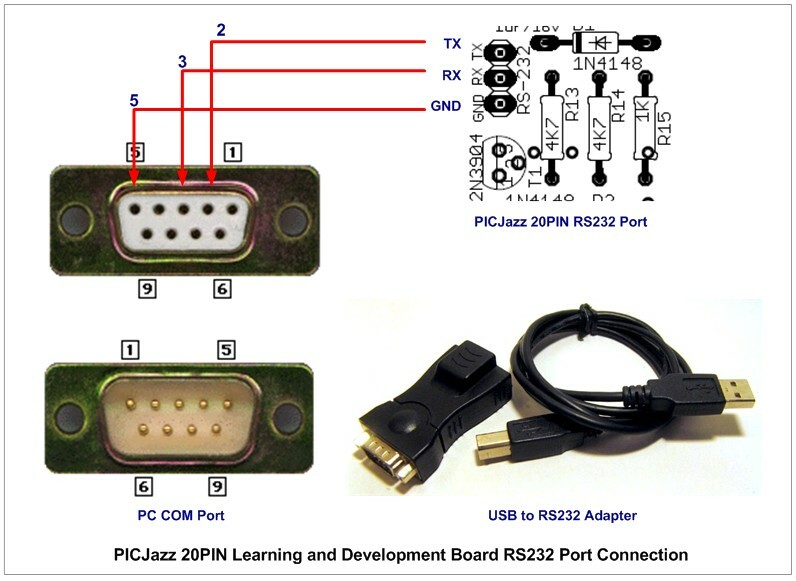 The PICJazz 20PIN board demo program source code is include in the CDROM; this program demonstrate the capability of the PICJazz 20PIN board such as accessing the RS232 port, using the user switch, using the user analog input (trimport) and running the four 3mm blue LED. 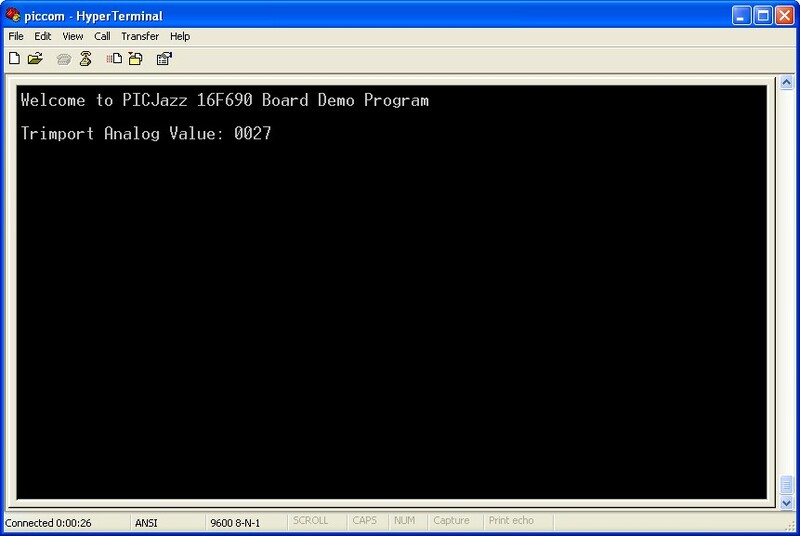 The PICJazz 20PIN Board comes preprogrammed with a demonstration program (PICJazz16F690Demo.c). 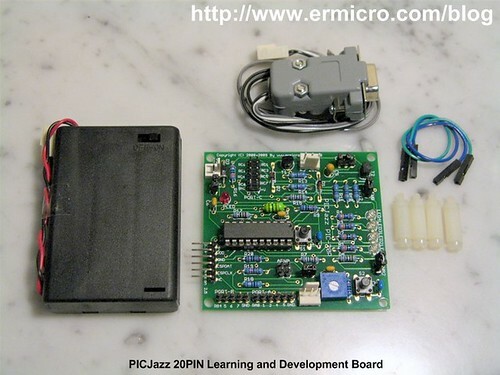 To use this program, connect the PICJazz 20PIN to the battery power that comes with the board. The demo program will display the chasing light on the four blue LED (mode 0). Rotate the user trimport, labeled VR, and the chasing LED speed will change in different rate. Press the user switch, labeled S2, and now the board will blink all the LED (mode 1). Press this user switch once again will bring you to the number guessing game through the RS232 port (mode 2). 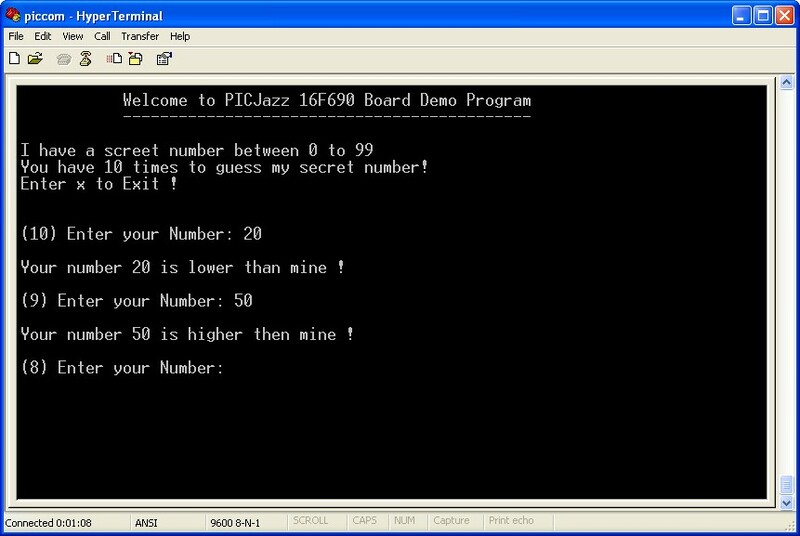 The number guessing game could be monitored or played using windows Hyperterminal or puTTY program on your computer. 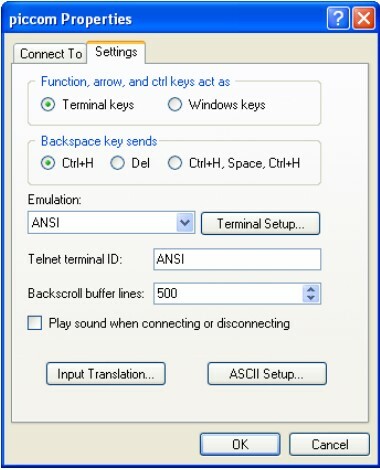 Connect the RS232 cable which come with the board directly to your computer COM or through USB to RS232 converter and start the Hyperterminal or puTTY program using this following setting: 9600 baud rate, 8 bit Data, Parity: None and 1 Stop Bit. 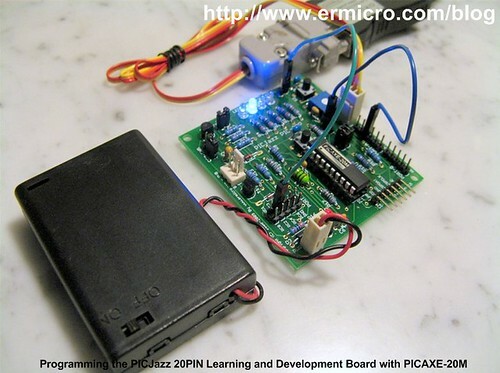 You could enter “x” character at any time to bring the program back to the PICJazz 20PIN chasing LED demo program (mode 0). 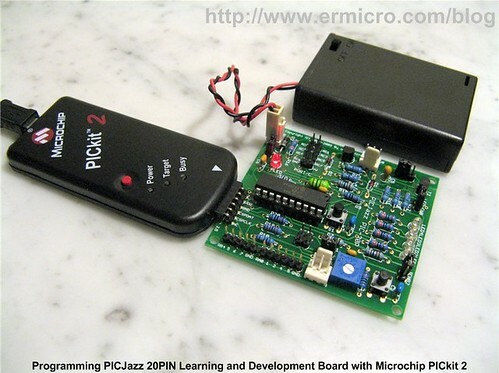 We recommend using the Microchip PICkit2 or PICKit3 to program the PICJazz 20PIN board, the board comes with the standard Microchip ICSP (In Circuit System Programming) pins which could be connected directly to the Microchip PICkit2. 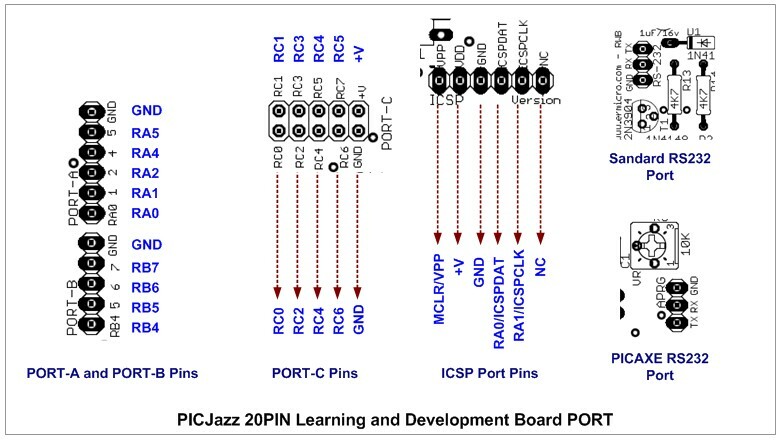 Disconnect the ICSP port from the PICJazz 20PIN board and press the reset switch (S1); you will see the blinked LED. 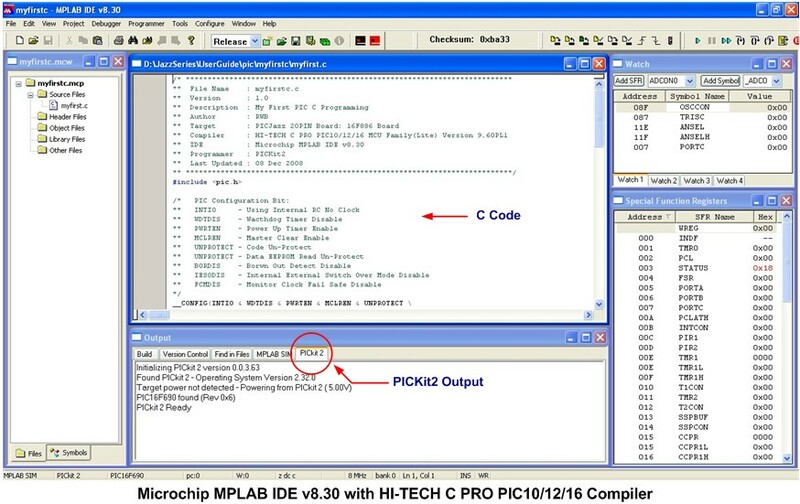 The PICAXE microcontroller actually is an ordinary Microchip PIC microcontroller that has been specially programmed with BASIC language interpreter on its memory (flash or EEPROM). 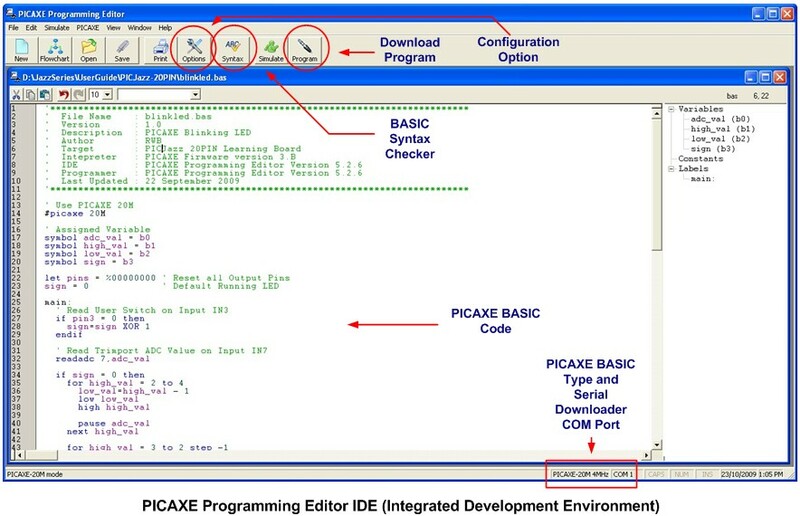 With the PICAXE Programming Editor from Education Revolution Ltd in UK, the PICAXE microcontroller becomes one of the best embedded system platforms for the newcomer. 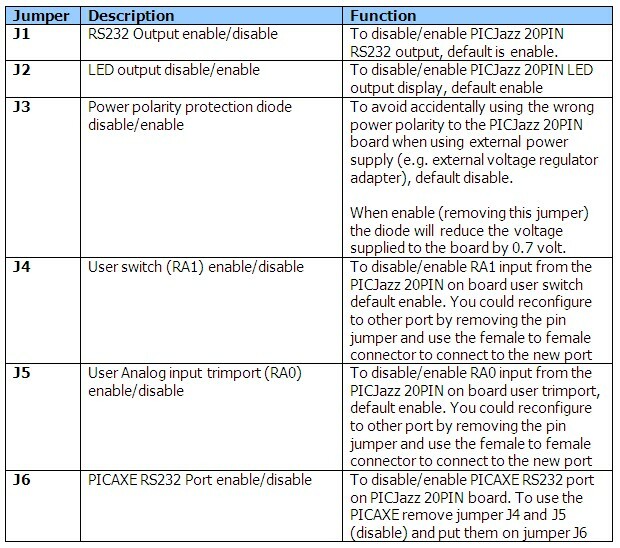 After replace the PICJazz 20PIN board microcontroller with the PICAXE-20M, connect the user switch to RC3 port and analog trimport to RA4 port. 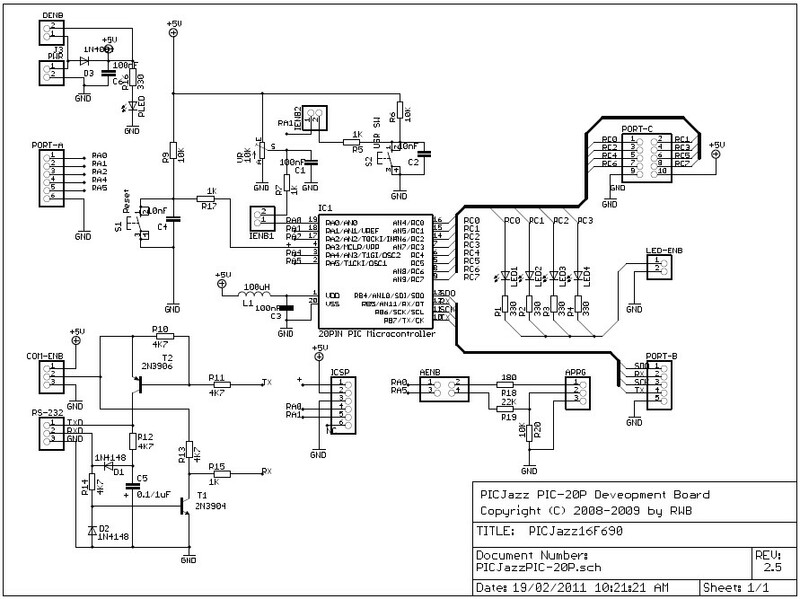 Use the PICJazz 20PIN board PICAXE serial downloader to download this code from the PICAXE Programming Editor. You could use the Option button to configure the development environment (e.g. 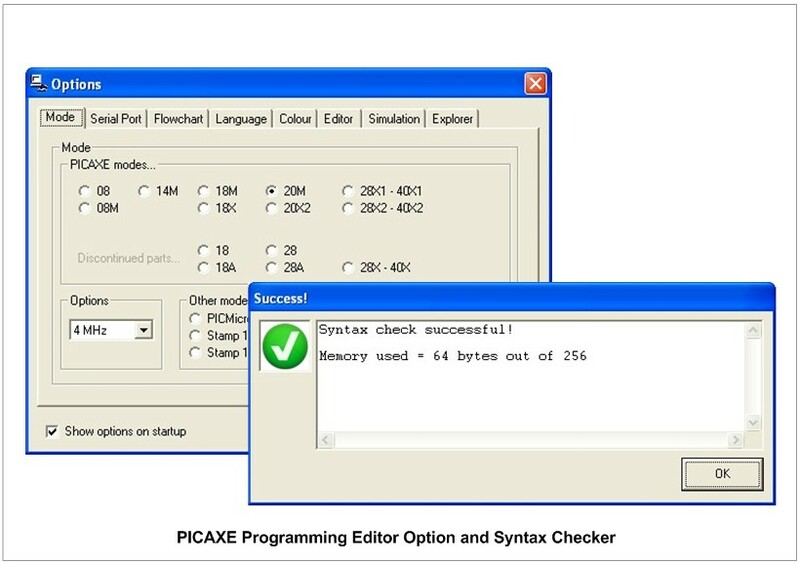 PICAXE type, internal oscillator clock, etc) and do the syntax check with the Syntax button to check your syntax as well as the program size. 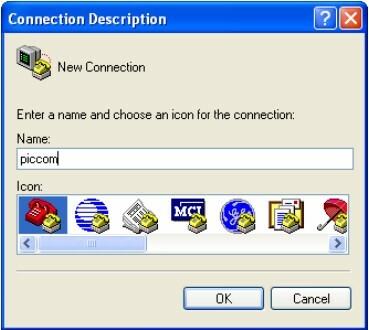 Pressing the Program button will down load your BASIC program token to the PICAXE microcontroller and then the PICAXE BASIC interpreter automatically will execute the code. 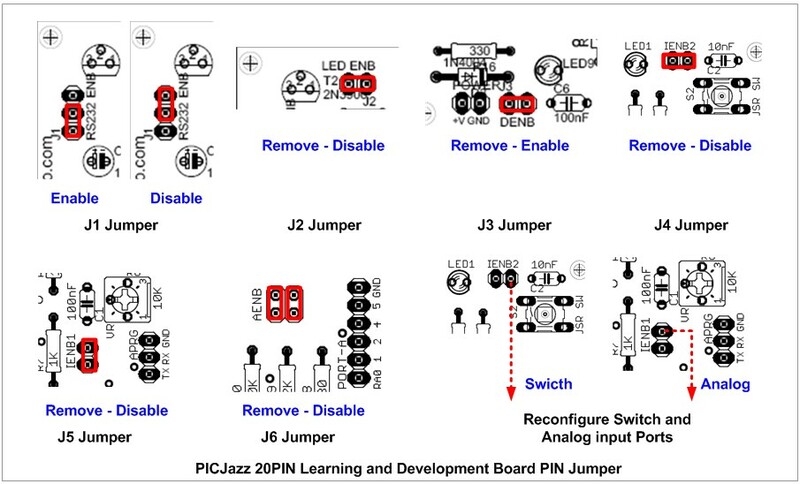 Get the PICJazz 20PIN Model 1 (PIC16F690) Now ! Hi! The PICJazz is a perfect tool! Great for either simple or more advanced projects! I would like to ask if we could somehow create a file to save the results to our PC? For example how could we save the numbers we choose during the guessing game or even the different values of the trimport? 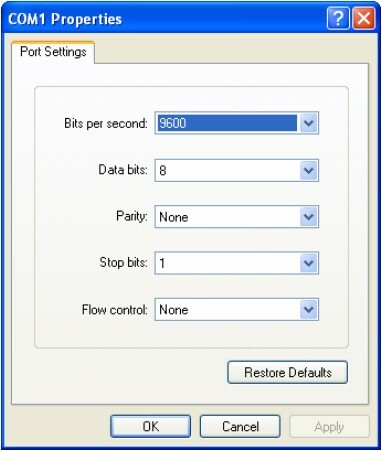 The easy one is to use the Microsoft Visual Basic Express 2005/2008/2010 Edition and use the Serial Port object (IO.Ports.SerialPort) for reading the RS232 COM port data, save it to the text file using the File object (System.IO.File), and StreamWriter object (System.IO.StreamWriter). You could get a lot of example on this topic on the net. really a great tutorial, especially on the link below all the programs were super commented, drafts, schemes … simply wow. 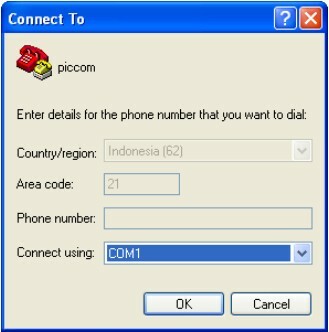 The only problem is that it is not possible to log in and to send a commentary. 1. 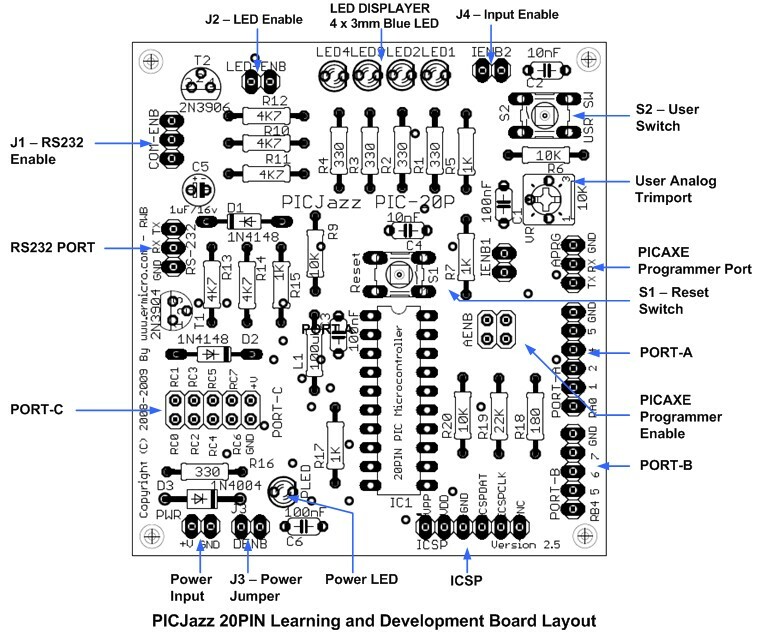 Would you mind if someone (eg: me) replicate and/or modify your PICjazz (or any board on this blog) schematic for commercial purpose ?